Urban development isn’t simply the creation of facilities and spaces within a city; it is both a practical and creative process that involves the integral planning and design of functions for how a city is used, etc., in order to create the opportunities and scenes in which people live, work, play, think, and move. The Urban Development Group conducts research on these topics and puts these results to practice in the field. 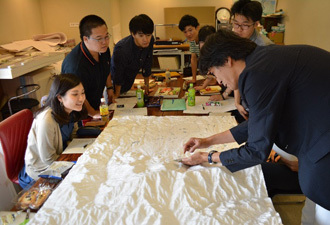 Our research has been used in a number of projects, including the Shirakawa River Midori-no-Kukan riverscape design, cost-benefit analysis of converting the Kumamoto Electric Railway to light rail, and mediating friction between preserving the ruins of Yatsushiro Mugishima Castle and installing rainwater pipelines. 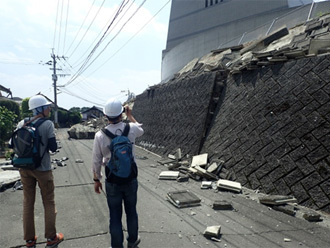 In order for us to protect our lives and our property and to live in safety and comfort, it is extremely important to improve local disaster prevention and mitigation abilities so that even if a natural disaster occurs, such as an earthquake, typhoon, or heavy rains, our basic societal infrastructure that supports our daily living, such as roads, railroads, electricity, and running water, are able to function safely and without interruption. 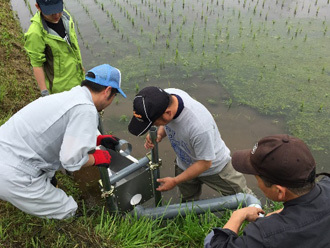 The Disaster Prevention and Mitigation Group continues research on these topics and is involved in putting the results of this research into practice. 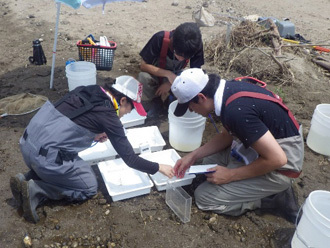 The results of our research are being put to use in areas such as improving flood control safety of the Shirakawa River Basin, disaster prevention education of local residents, and proposals to local disaster prevention authorities. The facilities and equipment that form the foundations of our daily living are built both above ground (roads, bridges, dams, slopes, etc.) as well as deep below ground (tunnels, underground power stations, high-level radioactive waste disposal sites, etc.). When developing and building this social infrastructure, it is important to take into account harmony and mutual existence with the natural environment. The Social Development Group actively spreads its research results around the globe in order to contribute to sustainable development of regional communities. 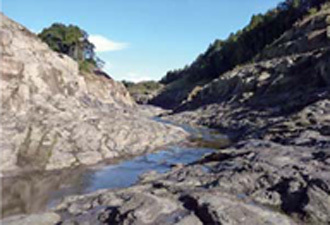 In order for us to carry out social activities while living together with nature and natural ecosystems, comprehensive research and technological development related to environmental protection are needed, which involves, on both local and global scales, performing analyses of soil, rock, and atmosphere, evaluation of the effects of man-made changes and burdens on the environment, repairing deteriorated environments, and surveying environmental sustainability. The Environmental Protection Group performs research on these topics, actively spreads the results of this research around the globe, and works to put it to practical use. 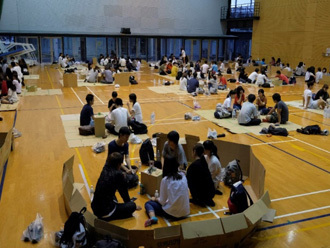 In order to keep in touch with a society that is becoming more and more diverse, we contemplate how new buildings and cities should be and pursue the necessary design and planning techniques, as well as specific planning methods. Architectural Planning: We perform comprehensive research from a local and global perspective on various types of buildings, from homes to large-scale multipurpose buildings, while paying attention to functionality and comfort. Urban Planning: We research urban development, design of public spaces, and community development that involves residents with the goal of creating greater harmony between nature and human society and solving issues facing society. Architectural Planning/Design: We perform practical research into outstanding architectural design. We aim to develop comprehensive design techniques that take into consideration relationships with history, urbanity, environment, structure, and execution. 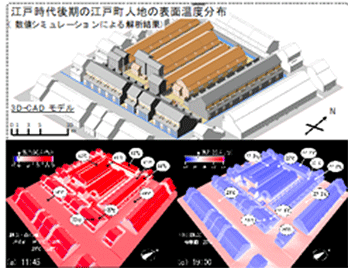 Historical Design: We perform research by adding historical analyses from a variety of perspectives on Japanese and Western architecture and urban areas. We find out how people of the past built buildings, think about buildings of the future, and use this as a jumping off point for creation. We research what properties buildings and cities should possess, with a special focus on the environmental elements of sound, heat, air, and light, for the purposes of improving everyone’s quality of life. 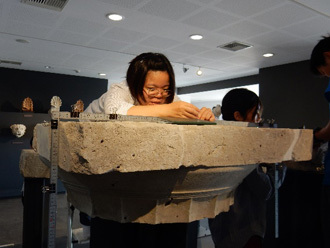 This includes looking at residential spaces to regional and global environments, while also taking climate and local culture into consideration. Architectural & Urban Thermal Environments: As urban environmental pollution grows more serious through phenomena such as the summer heat island effect, we analyze via measurements and data simulations traditional architecture, urban spaces, and ways of life, and perform research to design and bring into reality comfortable, environmentally-friendly architecture and urban spaces. Indoor Air & Thermal Environments: We research how to improve air quality and thermal comfort in order to maintain and control a healthy environment inside homes. 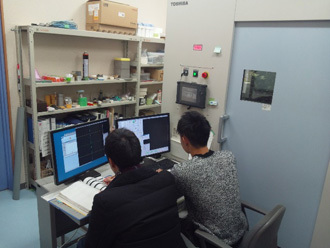 We also test methods and their results on schools, housing for the elderly, temporary disaster housing, etc., through experiments and on-site measurements. 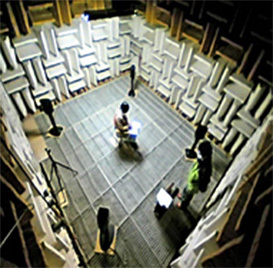 Sound Environments: Architectural acoustic design is not limited to concert halls, as there are a wide variety of spaces where acoustics should be adjusted in order to allow for clarity in communication, such as in kindergartens where children, who are just learning to speak, spend time during the day. 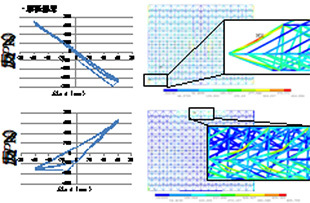 We pursue new potential for acoustic design through research. 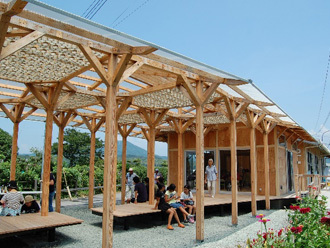 Buildings serve to provide special spaces where people can spend time comfortably while also protecting people’s lives and property from fire and natural disasters such as large earthquakes and typhoons (e.g., roofed stadiums, skyscrapers, towers, etc.). We perform research on structural design methods for architecture and on building materials and production technologies in order to accomplish this. 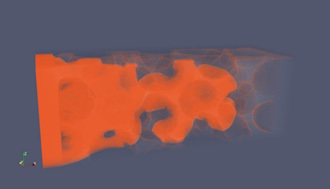 Earthquake- and Wind-Resistant Structural Design: In order to construct buildings where people can live safely in the marvels of nature like earthquakes and typhoons, we look into the properties of buildings through structural experiments and computer simulations, and research methods for designing safe buildings that are resistant to damage. Building Construction Planning: In order to construct buildings of all different shapes and sizes, with a wide variety of different functions, we find out the structural function of joints where sections like pillars and the floor meet, as well as the entire building itself, through experimentation and calculation, and research into structural design systems with high levels of freedom. 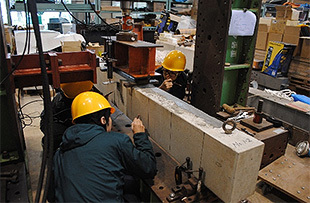 Building Production: We do wide-ranging research on a variety of building materials and research into developing technologies that meet the increasingly advanced functionality and performance of buildings, as well as methods for utilizing construction waste and techniques for reusing recycled materials as construction materials.